Routine dental care and cleanings are part of keeping your teeth and gums in good condition on a regular basis. You and your family don’t have to go to different dentists to make sure everyone has healthy teeth and gums. In fact, there are many benefits to seeing a family dentist. 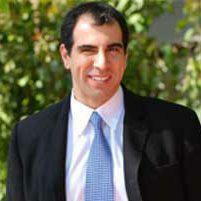 Farshin Farokhian, DDS, offers family dentistry services to families in the Hillcrest areas of San Diego, California. Why should I go to a family dentist? If you have children, all of you can get care from the same dentist when you go to a family dentist. There are several advantages to doing this rather than seeing different dentists. As a family dentist, Dr. Farokhian has the skills, experience, and knowledge to provide high-quality care to patients of all ages. When you have him care for your children’s teeth, he’ll be able to watch for and treat problems that can occur as their teeth and jaws develop. Seeing the same dentist also means that you’ll have an easier time scheduling appointments for routine care and follow-up care as needed. What kinds of family dentistry services are available? Dr. Farokhian offers several types of services as a family dentist. You and your family can have routine dental cleanings and exams done to lower the risk of dental problems. If you or your children do have any dental problems, Dr. Farokhian can treat them early and prevent them from turning into more serious problems that need more complex treatment. Dr. Farokhian can also recommend having specialized services as needed, such as orthodontics if your children develop any problems with their bite. You don’t have to wait until your children have a full set of baby teeth to bring them in for dental care. In fact, you should bring your children in to see Dr. Farokhian about six months after their first tooth comes in or when they turn one year old, whichever comes first. He’ll examine their baby teeth and check for signs of decay or early signs of problems with tooth or jaw development. How often should we come in for routine care? You and your children should have routine exams and cleanings done twice a year, roughly every six months. During these appointments, Dr. Farokhian will check everyone’s teeth for potential problems that he might need to address. These routine cleanings also thoroughly remove plaque and tartar, so you and your children have a lower risk of tooth decay and gum problems. If you or your children need to come in more often due to a dental problem, Dr. Farokhian will let you know. If you and your family need dental care, please contact Farshin Farokhian, DDS, to set up an appointment.